The story of how cinema shaped Hollywood is as intriguing, politically entangled, passionate and fascinating as any movie you have ever watched. 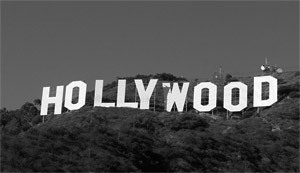 It is part of American history because not only did television and film influence Hollywood, it shaped Today’s America too. The MPAA (Motion Picture Association of America) rating system is what determines if a movie is “G”, “PG”, “PG13”, “R” or “NC-17”. Did you know that ever since the MPAA rating system has been in effect, the name of Jesus Christ has been reduced to a common curse word? It is used completely unrestricted, and in most cases, for the sole purpose of heightening the level of dramatic impact. Add to that the fact that 95% of all American media and distribution (i.e. books, magazines, television, radio, movies, etc) are controlled by just a handful of large conglomerate organizations. Scary, but real. Clearly, it is time for all Americans to take back control of our power. To remember what unites all of us rather than what separates us. To remember that collectively as Citizens of The United States of America we have the right AND the responsibility to uncover any hidden agendas that are influencing our daily lives. Together, we have power. If you have factual history that would help tell the story of how Hollywood was shaped from the 1930’s through today, we would love to hear from you! Please send us an email and after your information has been verified, it will be posted on this page of our website.